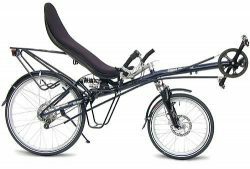 The number of HP Velotechnik recumbent trikes continues to grow. There are now about a dozen HP trike models including 3 Gekkos and several Scorpion models. 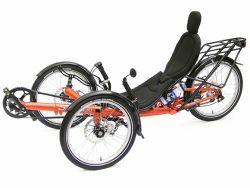 All the Scorpion trikes have rear suspension; the less expensive Gekkos do not. Hp-Velo first began showed a prototype suspension tricycle in 1995. The Scorpion rear suspension is very similar to the swing arm they use on their bikes. It works well, isolating your body from road vibration without being affected by pedaling forces, even on hills climbs. One of the advantages of a trike is the ability to gear down and crawl up monster hills without thinking about balance. This can be especially when loaded for touring. The Scorpion comes stock with the SRAM dual drive 24-speed system which gives a wide range of ratios and 3 of the gears can be shifted even when stopped. 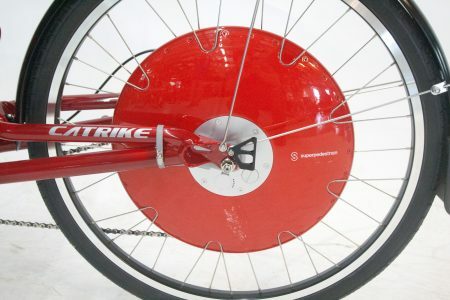 The Avid mechanical disk brakes are do a good job and are easy to adjust. There is an available rear parking brake option because trikes don’t have a kickstand to hold then still. 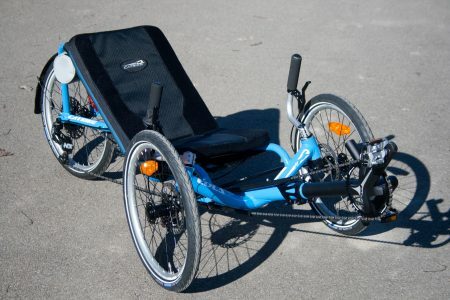 The Scorpion can be fitted with their adjustable BodyLink seat or their ErgoMesh seat. The mesh seat is more breathable and provides more support in hard cornering while the Body Link is more rigid giving a bit higher performance. 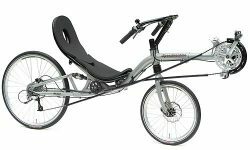 All HP Velo recumbent bike and trike frames are made from heat treated aluminum. The cross members are curved forward which makes it a bit easier to get your feet under you getting on and off the trike. It also keeps a long wheelbase for control during hard braking, a nice touch. This design also reduces heel interference for shorter riders. 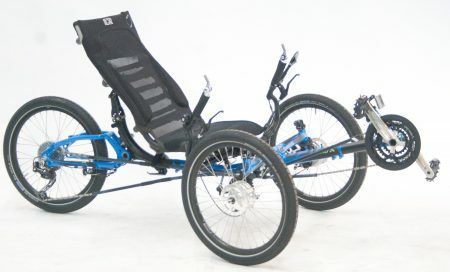 Like most modern tadpole trike designs the Gekko and Scorpion frames do not use centre-point steering geometry. This is done to reduce brake steer and works well. The Scorpion rear racks are designed to work with rear suspension. Made with ½” alloy tubing they are rated for up to 56 lb of luggage. Each side has two support tubes allow mounting panniers high or low. Flag mount & rear light protector tube included. For heavy loads consider the optional air shock. Available Moonbiker panniers are aerodynamic and tailored to fit. All HP Velo trikes have indirect steering. The kingpins turn on smooth, serviceable Ahead-type bearings. Steering rods bronze ends and cartridge bearings at the stem pivot are maintenance free. The chain is mostly covered, protecting both the chain and your trousers. Special low friction chain tubes are drawn from PTFE. The Sachs dual drive 24 speed is standard and gives wide ratios for slow climbs and fast descents. Dual derailleurs with triple are available. The front wheels can be removed with one Allen wrench for transport. The HP Velo “No-Squat” rear suspension geometry works well. 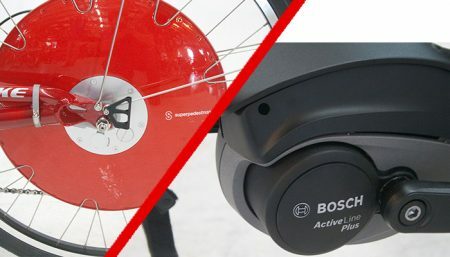 It is tunable for rider and luggage weight and absorbs bumps but not your pedaling energy so your effort goes into forward motion not bobbing the shock.